Personal injuries can happen on the road, at work or even at home — often with devastating consequences. At Lane, Muse, Arman & Pullen, our lawyers are dedicated to helping people like you get the Social Security disability benefits you deserve. 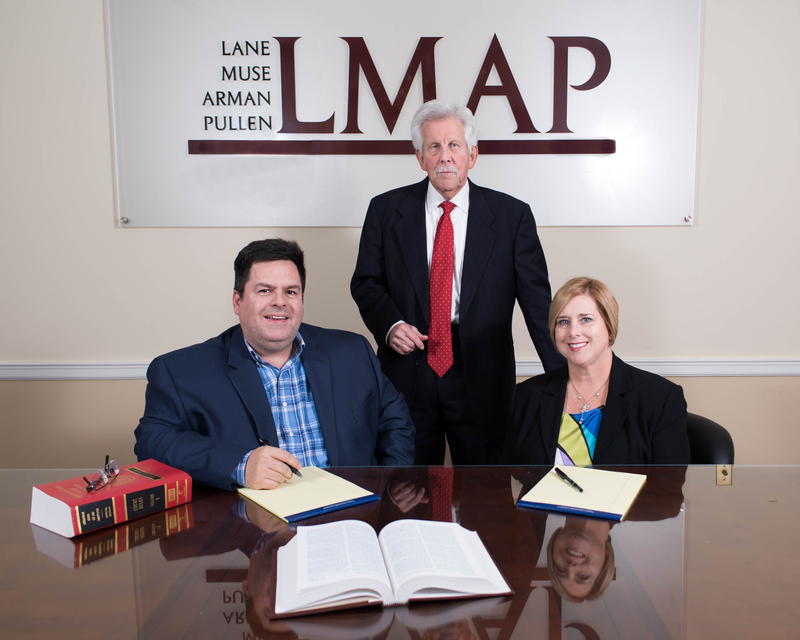 The law offices of Lane, Muse, Arman & Pullen have been representing Arkansas residents and businesspeople in a variety of general practice legal matters for more than 83 years. Lane, Muse, Arman & Pullen also vigorously represents injured victims in recovering settlements and winning jury verdicts in automobile accidents, truck accidents and accidental slip-and-falls, and helps survivors secure closure in wrongful-death cases. The firm also represents claimants and plaintiffs in Social Security disability and workers-compensation matters. Donald C. Pullen is AV® Preeminent™ Peer Review Rated by Martindale-Hubbell®, the highest rating available, for his legal abilities and adherence to ethical standards. Sherri Arman McDonough is BV® Distinguished™ Peer Review Rated by Martindale-Hubbell® for her legal abilities and adherence to ethical standards. The firm draws upon a network of long-established legal contacts when necessary. Lane, Muse, Arman & Pullen serves the residents and business people of Hot Springs and of Garland, Hot Spring, Montgomery, Pike, Clark, Grant, and Saline counties. 800.371.3356, or contact us online.